The Landing Co.The Snowball Effect - The Landing Co.
Home improvements often start out small and then blossom into much larger projects. Maybe the dishwasher breaks down but it seems silly to put a new one back in the same place when you’ve always thought it would fit better on the opposite wall! And if you’re hiring a plumber anyway, you might as well put the sink into the island and replace the dated countertops. Before you know it you’re considering a significant update to your home! We call that the ‘snowball effect’. 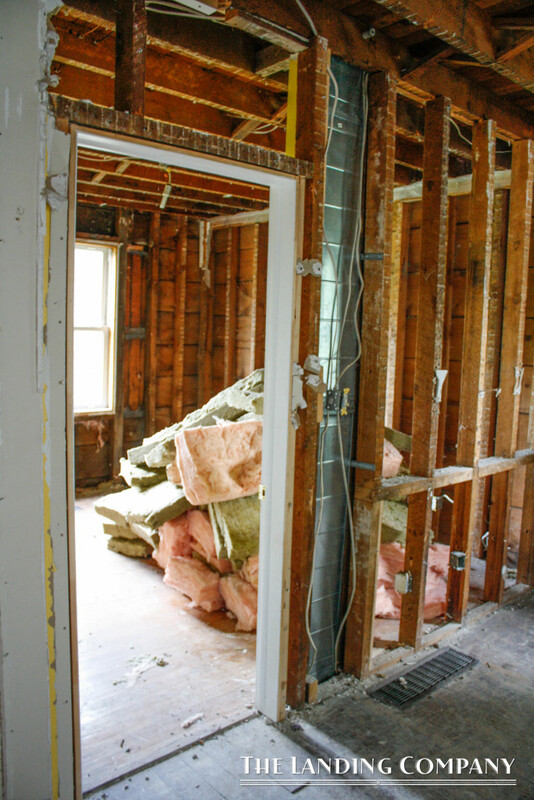 Being engaged with your home is a good thing, but losing control of a home improvement project is not. Bringing a designer onboard is an ideal way to keep things running smoothly. TLC will work with you to establish the scope of the project and develop a strategy that accomplishes your goals. The secret is knowing what your goals are and then planning carefully to achieve them. Many homeowners get caught in the snowball effect because they are focused on features – cabinet finishes, the type of flooring, the light fixture, etc. There is always going to be a more exciting option – and those will cost you more. Keeping your focus on design, means making sure that the whole picture meets your goal. It is a lot easier to stop drooling over a walnut hardwood floor, when you realize that the color range will completely derail the focus on your new craftsman style kitchen. Because our focus at TLC is “finding the fit” we know how to help our clients sort out their priorities. We know that it’s tough to limit the scope of work when everything in the house is so interconnected. But we also know that most homeowners don’t have the funds or desire to take on everything at once. We will help you take it in stages by developing a plan that leads to the final result you’re after. We’d be thrilled to join you on your next home improvement adventure, www.thelandingco.com, but let’s leave the snowballs to the kids, ok?